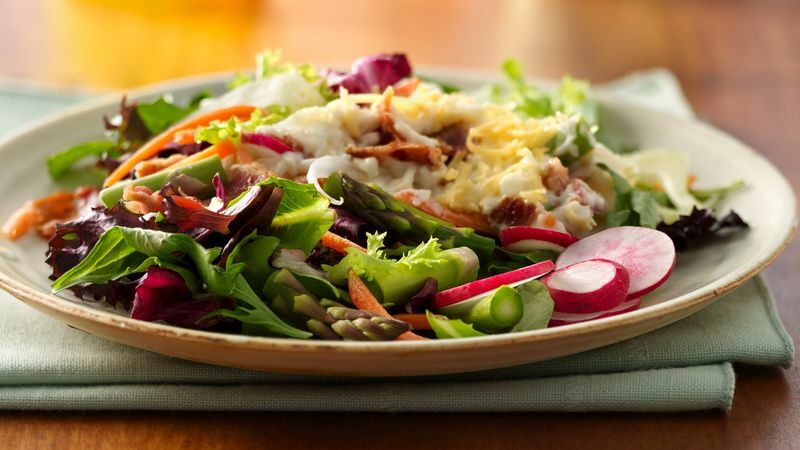 In large glass bowl, layer mesclun, fennel, radishes, onion, bacon and asparagus. In medium bowl, mix mayonnaise and Parmesan cheese. Spread mayonnaise mixture over asparagus, covering top completely and sealing to edge of bowl. Sprinkle with Gouda cheese. Cover; refrigerate at least 2 hours, but no longer than 12 hours, to blend flavors. Toss before serving, if desired.